Whether a prominent talking head or a keen observer with a raft of experience, WOMEX is seeking proposals from representatives across the musical spectrum who wish to present their vision, map out an idea or lay the foundation for moving the industry forward. We welcome all kinds of conference topics: from basics to backgrounds, from live to recorded, and from roots to visions. The Conference is held in English. Sessions which examine Hungary’s rich musical traditions and its current developments. Sessions that take a look at the Eastern European music market, either in general or addressing specific aspects of it. Sessions which deal with synergies, exchanges and blends of traditional music (world music, folk roots) on the one hand and styles such as club music and jazz on the other. Hands-on know-how on the use of digital media and tools for world music professionals. Think of how you create interactivity amongst all participants – leave time for questions in the 45 minutes you’ve got! Do not include more than three speakers. Focus on transporting/creating hands-on knowledge for all participants to take home from your session. Select a specific topic, rather than something general. 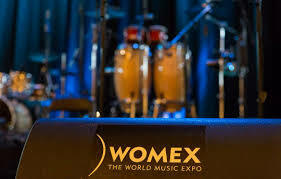 Please note that WOMEX is not in the position to cover any fees, travel or other costs. 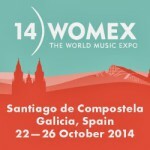 We will, however, offer one free registration granting full access to WOMEX to every conference speaker and Mentor. WOMEX will also provide the conference room, necessary equipment, and special PR treatment (presentation of speakers and session in the Guide, on the website, in our newsletter etc.). +49 30 318 614 – 30. Experts and industry greats are also called upon to share their knowledge on all manner of key areas such as live production & touring, label & publishing, PR, new tools & technologies with WOMEX delegates via the One-to-One or Roundtable Mentoring Sessions. Mentoring sessions are held in English. One-to-One Mentoring: Consult 5 mentorees for 15 minutes each on a topic of your choice on two WOMEX days (90 minutes per day in total). Round-Table Mentoring: Lead a 45-minute group discussion (approx. 5 participants) on a topic of your choice on two WOMEX days. New Proposal System in 2015! Based on delegate feedback, we have developed a new method of submitting proposals for WOMEX 15. We use a tailor-made proposal system developed in collaboration with the independent company Brumedje, who are happily located in the islands of Cabo Verde.